As I read this chapter, I made connections with my earlier blog and podcast concerning teachers who were Warm Demanders. Judith Kleinfeld identified these teachers as holding high expectations and building strong relationships. They express warmth, build rapport, and show personal regard earning them the right to demand engagement and effort. Along with high standards they offer emotional support and scaffolding while encouraging productive struggle. I’m giving you these comments because I have very high expectations and I know you can reach them. Students were given an option to revise and resubmit their work with the possibility of getting a higher grade. Forty percent of the students getting the generic statement redid the paper while 80% of the students getting the encouraging statement resubmitted. In addition, the encouraged group made nearly twice as many corrections on their resubmission than the generic group. As with Kleinfeld’s warm demanders, the Heaths point to the need for more than providing a high standard and teachers’ beliefs. 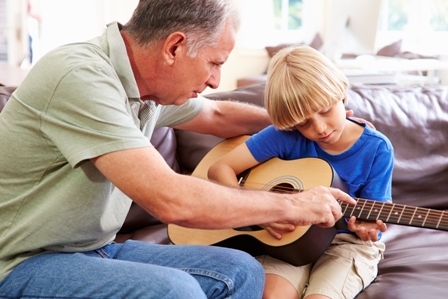 Warm demanders are technically skilled as teachers knowing how to attack a learning goal. High Standards – For me, this is goal setting that increasingly involves the students in shaping the goals. Most teachers have goals that are much broader and deeper than those in the curriculum. Many teachers want students to develop skills in creativity, communication, empathy, empowered learning, etc. Students should know these additional goals. Assurance – This is the teachers’ belief in the student’s ability and potential. Great teachers exhibit these beliefs when the students are doubting themselves. My important learning as a teacher was that I actually never knew what a student was truly capable of achieving. In that case I best work from a belief that anything can be achieved. Direction – In my language this is knowing the “student production behaviors.” A skilled teacher knows what the student needs to do that will generate the desired outcome. I can’t teach you how to play a flute or speak another language. I can show you what to do that will cause you to learn. Support – When teachers add scaffolding, quick action-oriented feedback, approval, and a “hand back up” when a student falls, they are giving support. Building a whole classroom culture where students encourage each other and where “failure” is expected because we are stretching is a great start. Where does creating stretching fit in our practice as teacher coaches? 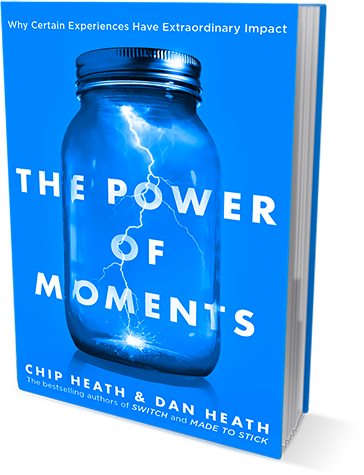 Chip and Dan Heath see “pushing” as a key role for mentors to play. This role often seems counter-intuitive as we tend to see ourselves as protecting the people we care about from risk as a way of insulating them from failure. What behaviors do coaches practice that support teachers’ stretching? As an administrator do you know where your staff members are currently stretching? Are your teachers asked to share where they are currently working to achieve a goal that they haven’t previously met? Here is a two-step process you might consider. After a presentation defining the importance of stretching and Heath’s formula…. Ask the staff to provide feedback to the leadership team regarding its efforts to provide high standards, assurance, direction, and support. This could be done in groups where they create a feedback chart. They can identify actions by the leadership team that are indicators of each item. What behaviors could be added to increase any area. Have your leadership team review the input and select some actions and behaviors for implementation. Have staff members share their efforts to encourage student stretching. What actions of the formula are present and which ones might need additional attention? Have each teacher select a partner and conduct a peer coaching observation and feedback conference around the specific teacher practice, perhaps noting both teacher behaviors and student reactions. As teachers, mentors, coaches, and administrators implement a plan for stretching others, we stretch ourselves. This is so timely! Our TAG group has been working on feedback this year! We did a KWL chart on what we know, have learned, and want to know about feedback. Some of the want to knows are actually somewhat addressed in this article! Can’t wait to share it with them! Thank you!